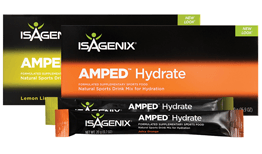 Isagenix AMPED Hydrate contains 20% more electrolytes than the previous version (Want More Energy, which is no longer available). This specially formulated sports drink optimises hydration to help sustain performance and support faster recovery after exercise. Ideal as a intra-workout sports drink, or to sip on throughout the day. Available in Juicy Orange and Lemon Lime flavours. When Should I Drink Isagenix AMPED Hydrate? Any time you need refreshment or a natural energy boost! 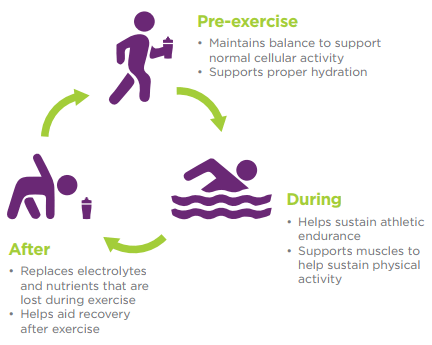 However, it can be particularly beneficial during or after exercise as it aids hydration and recovery (think of it as a healthy sports drink). Each sachet contains 2 x 10g serves. Empty half of the sachet(10g) into one cup (240ml) of water and mix well.